In this guide, we will share some best binoculars under $300 with detailed reviews. When it comes to buying binoculars most users will agree that making a purchase online is never an easy task. After all, how can you determine that the binocular will perform as advertised? Plus there is practically no way for you to test and see what works for your specific needs. But you don’t have to pull out your hair while researching the best binocular under $300. Check out our list and guide to get started. What is the Best Binocular Under 300$ in 2018? Nikon 7577 MONARCH 5 18.4 mm Yes 10x42 No Fully-multicoated 1.35 lbs Check price! Carson TD-842ED 16 mm Yes 8X42 Yes Fully-multicoated 1.4 lbs Check price! 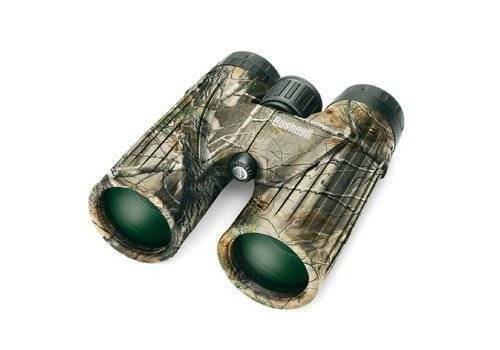 Wingspan Optics 4335023354 Thunderbird 22.5 mm Yes 8X42 Yes Fully-multicoated 11 oz Check price! Bushnell 191043 Legend 15.2 mm No 10x42 No Coating 22.5 oz Check price! Vortex Optics DB-205 Diamondback 15 mm No 10x42 No Fully-multicoated 1.34 lbs Check price! At a budget under $300, you will need a quality binocular that is capable of extra low dispersion. This is exactly what the Nikon 7577 MONARCH 5 10×42 is built for. It comes with a soft case that is ideal for storage plus you also get a lens cap which is great. 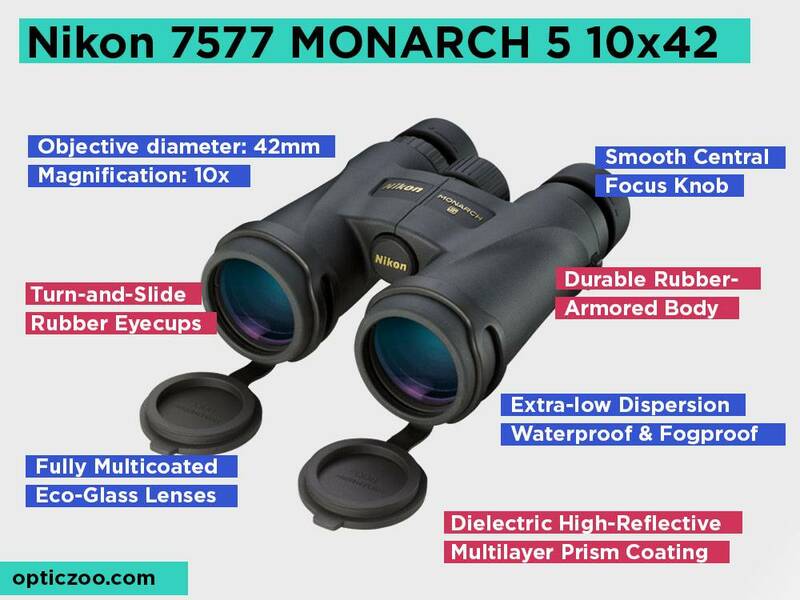 In terms of design, the Nikon 7577 MONARCH 5 10×42 does not compromise on quality optics. It boasts an ecologically friendly glass lens system that does not only guarantee high light transmittance but also works well for those who are concerned about lead or arsenic pollution to the environment. Its compact but powerful housing is a joy to handle. Not only is it lightweight and easily portable but it also boasts a waterproof and fog proof housing that will hold its edge even in the cold. This means you won’t have to worry about fog or water beads getting in the way of your viewing pleasure. With a long eye relief, the Nikon 7577 MONARCH 5 10×42 is designed to be comfortable even for those wearing glasses. In fact, the eyecups are made of rubber and can turn and slide. When it comes to optic performance, the Nikon 7577 MONARCH 5 10×42 delivers a visible light range thanks to the legendary glass technology that Nikon is known for. You will experience improved resolution thanks to a dielectric high reflective multilayer prism coating that the lenses tubes come with. Since it’s a fully multicoated design, you get image clarity at its best with a view that looks as natural as possible. A quick glance at user reviews and it’s quite clear that the Nikon 7577 MONARCH 5 10×42 checks all the boxes even for the most discerning user. 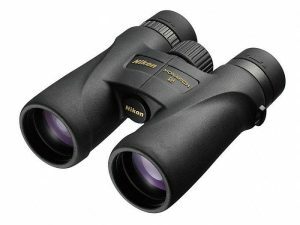 It offers outstanding magnification that works well whether you are a deer hunter, a hiking enthusiast or an avid birdwatcher. The optics performance on this binocular is on a level of its own. For some users, the eyepiece lens cap appears too large however this is one of Nikon’s original designs and the lens cap is designed to be slightly larger to make it easy to use especially when you have your straps on. 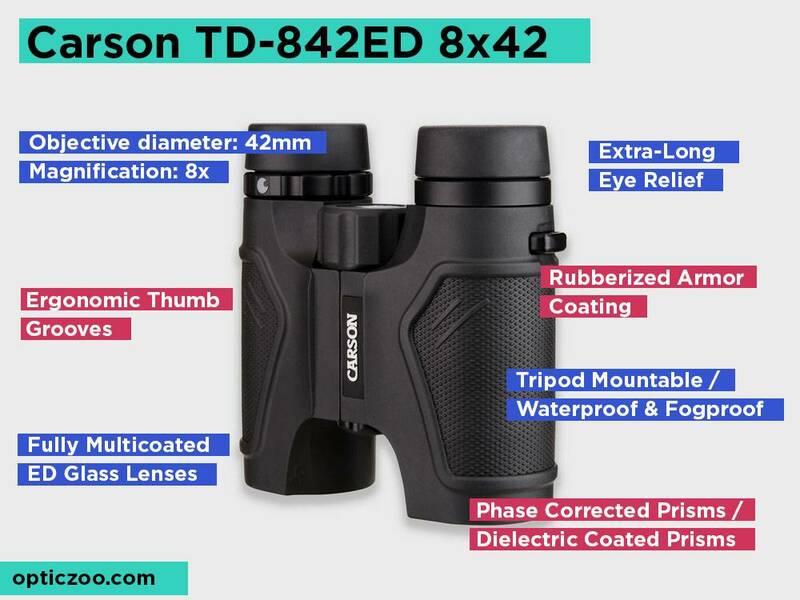 For close to 3 decades, Carson has been in the business of producing quality optics for its customers and so far the Carson TD-842ED 8×42 is one of their top performing models and for a good reason. This binocular comes with all the features you would find in a top dollar product. To begin with, it features an ED Glass lens that delivers high definition optics performance. 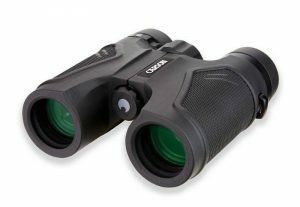 With an 8 x magnification and an objective lens diameter of 42 mm this binocular is the right pick for hunters, bird watchers and outdoor enthusiasts looking for a binocular with powerful magnification and reduced color fringing. Its waterproof and fog proof body works well for even if you expose it to the harshness of the weather elements. Thanks to a dielectrically coated prism this binocular will deliver bring and clear images with enhanced resolution and color fidelity. Whatever you plan is, the Carson TD-842ED 8×42 is built to handle it. It comes with a long eye relief that makes it work well even for those using glasses and the lightweight ergonomic design makes it a must-have for hunts and hiking trips. Some of the accessories included in the package include a neck strap, shoulder harness, a carry case, a lens cloth, and covers to name a few. In case you are bird watching and feel your hands getting worn out, you can set up this binocular on a tripod with its tripod mount. Basically, the Carson TD-842ED 8×42 is built to performer while being easy to handle with a thumbs grooves that are made to the right texture. To top it all off, Carson gives you a no-fault ho hassle warranty with this binocular which is great. There are no doubts about it; avid hunters, birders and outdoor adventure seekers across the globe love the amazing optics capacity of Wingspan optics. That’s the reason why the Wingspan Optics 4335023354 Thunderbird 8X42 is one of the few binoculars to receive good reviews from raving fans who have given it a 5-star rating. 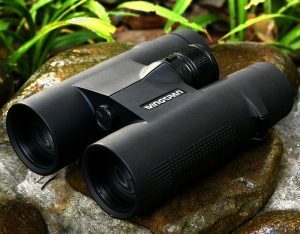 But even with all the hype, is the Wingspan Optics 4335023354 Thunderbird 8X42 any good? Well, it comes with a waterproof and fog proof design that makes it perfect for the sporting enthusiasts even in harsh weather conditions. The lenses feature a phase correction coated prism design so you can be sure to have breathtaking clarity of Mother Nature while you are out watching the birds. With an extra-low dispersion glass present in its lenses, this binocular provides better aberration control than its rivals and the results is a rainbow of colors that spread across the entire light spectrum. You can easily achieve sharper images with this binocular and with Wingspan’s flat field technology you get to view the entire image at a wide viewing angle which is amazing. 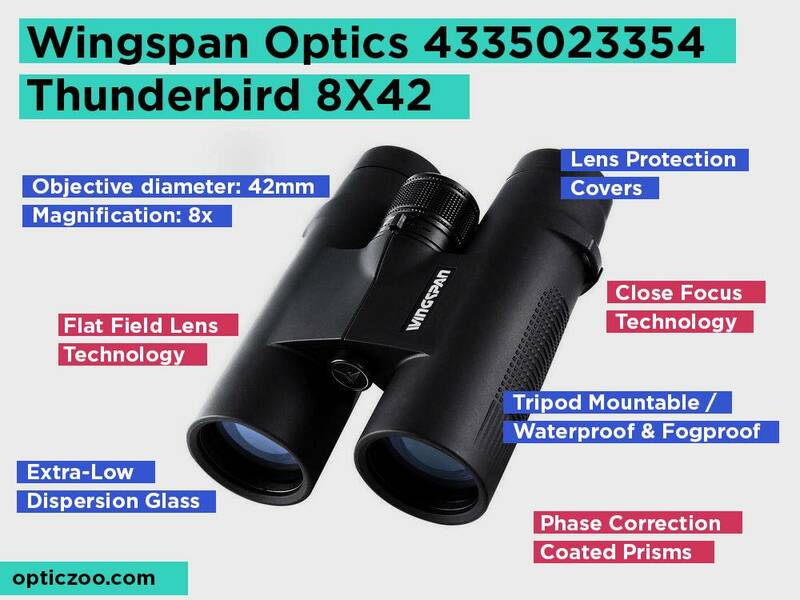 If you are thinking about settling for the Wingspan Optics 4335023354 Thunderbird 8X42, you will be glass to know that it comes with a bunch of accessories in the package some of which include a neck strap, a nonabrasive microfiber lens cloth, and a carry case to name a few. The housing is not only for and waterproof but also durable enough such that it can be put through the paces while still holding its edge. In addition, the lenses are nitrogen purged to prevent fog or water beads from getting in the way of your viewing. Plus Wingspan deploys the DuraTech technology with this binocular making it more portable and travel-friendly. This binocular has received great feedback so with most users commending its perfect design that suits birdwatchers and hunters. The Wingspan Optics 4335023354 Thunderbird 8X42 makes a compelling choice for beginners thanks to its design that is easy to use on various occasions. Its roof prism design added to its flat field lens technology makes this one of the most lethal optics you will find out there at its price range. Furthermore, it also comes with a lifetime warranty that nothing to sneeze about. Another company with a proven track record of making the best binocular for outdoor adventure is Bushnell. 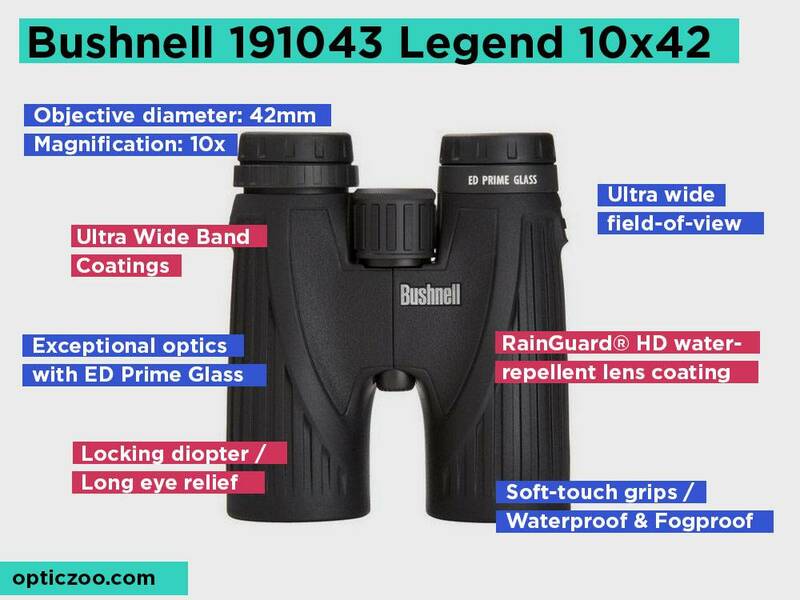 With the Bushnell 191043 Legend 10×42, hiking enthusiasts, bird watchers, and hunters get a massive field of view thanks to high-performance optics built into a compact and tough body. This binocular is the right pick for watching wild life thanks to its 10x magnification that and an objective lens of 42mm. It uses a roof prism design made out of ED prime glass prisms for color fidelity and adequate light transmission. It’s a fully multicoated binocular with a wide band coating that delivers bright images with the right amount of contrast. The housing is made up of the Bushnell’s Rainguard HD coating that adds to the waterproof and fog-resistant design of this binocular making it rugged enough to withstand weather elements. For those looking for a binocular that will suit their specific optic requirements, this Bushnell binocular comes with a locking diopter that maintains setting while allowing right eye adjustment to custom settings. Most user reviews agree that the Bushnell 191043 Legend 10×42 is one of the cheapest high-quality optics you will find out there. Not only does it come with a bunch of features available with top dollar options, this binocular boasts of a rugged design that fits a variety of use cases for any outdoor enthusiast. It brings about a bunch of useful technologies that Bushnell is known for such as the Rainguard technology, a prime ED glass, and an ultra wideband coating. On top of all that, you get a ‘no questions asked‘ lifetime warranty which is amazing. 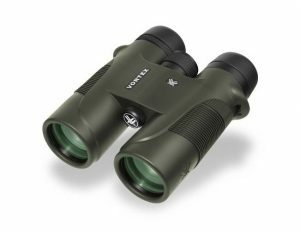 With a 10x magnification and roof prism lens design, the Vortex Optics DB-205 Diamondback 10×42 is another binocular on our list that delivers top-notch performance at a pocket-friendly price. It is designed with a fully multi-coated lens that enables increased light transmission. The phase correction on its roof prism construct also works well to enhance the contrast and resolution of the images. 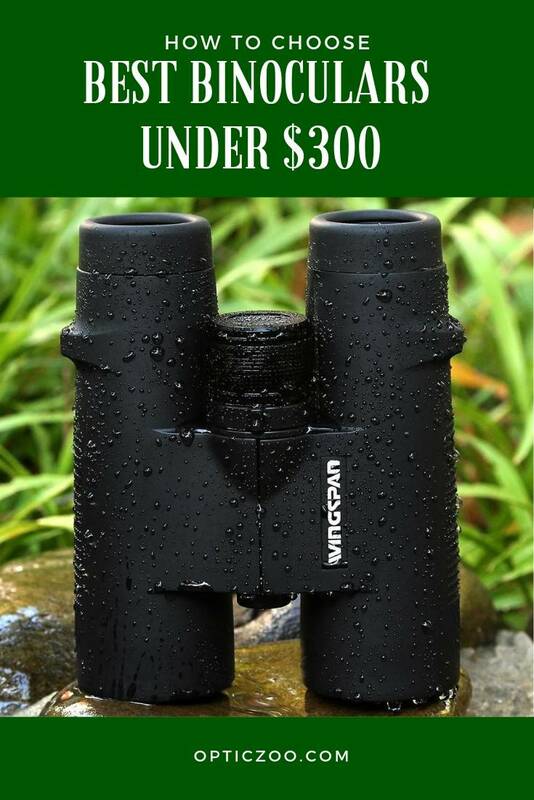 In terms of durability and construct, this binocular features a fairly compact body design that is both water and fog proof to withstand the elements. In fact, the O-ring seal on the lenses prevents dust; debris and moisture from getting into the binoculars thus enable clarity and quality performances no matter the environment. The entire body of the binocular is made up of a strong non-slip rubber armor that also protects the binocular. Apart from that, this binocular also fealties an adjustable eyecup that is ideal for viewing without or with eyeglasses as the eyecups twist up and down depending on how you want to use them. If you are in search of a binocular that is affordable but packs a punch in terms of performance, the Vortex Optics DB-205 Diamondback 10×42 is a solid pick. It comes with a diopter that adjusts easily to the viewer’s eyes. You can bring a tripod along with you for your bird watching trip thanks to the tripod adapter it comes with. In fact, you can even go as far as mounting it on your car window which is great. 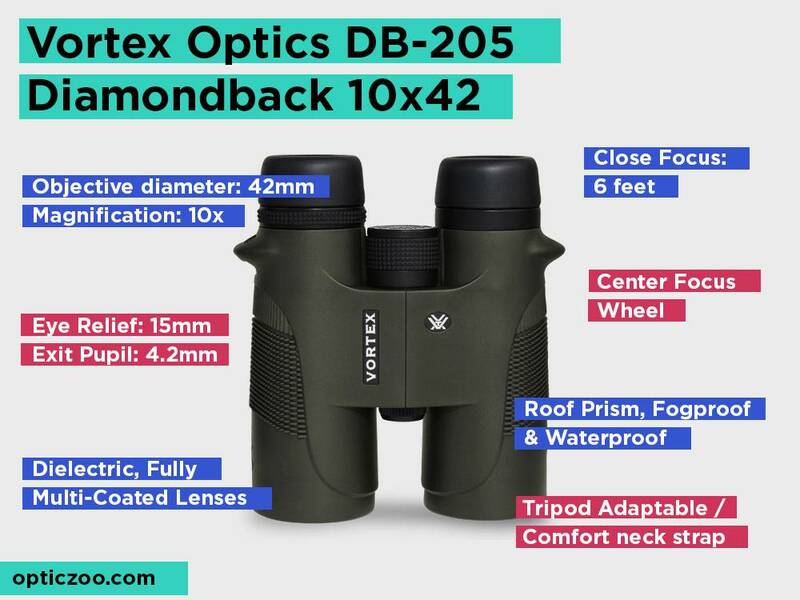 If the reviews from multiple users are anything to go by, the Vortex Optics DB-205 Diamondback 10×42 is built to be a must-have for hiking enthusiasts, bird watchers, and other outdoor lovers. The only fault is that there is a slight resistance with the focus knob. The lens cover also feels a little flimsy which might be a deal breaker for some users. 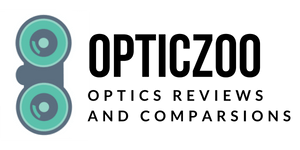 Whether you are a beginner or an expert optics enthusiast, most people will agree that making a purchase of the best binocular online is just not that easy. There are just too many things you need to know before you can be sure of making the right purchase. From the binoculars’ eye relief to its size, lens system and the durability of its housing, making the right buyer will prevent you from losing hundreds of dollars and missing a perfect view of the wilder beast down in the Serengeti. So without further ado, here is an in-depth buyer’s guide of what you need to know to make the right choice. Let’s start with size. Depending on how you plan to use your binoculars size will definitely be one of the determining factors. Binocular sizes are categorized into the size of their magnification multiplied by the size of their objective lens. That is why you will see each model with sizes such as 8×42 or 7×35 and so forth. Here are the main sizes you will find out there: compact, mid-size, full-size. This size ranges between an 8×25 and a 10×25 binocular. They are mostly built to be light and easily portable making them ideal for outdoor enthusiasts like hunters, birdwatchers and hiking enthusiasts. With a size of about 7×35 to about 10×32, you can get a mid-size binocular that is a bit heavier but with much better light transmission thanks to the heavier optics built into it. These are most popular with wildlife and sports enthusiasts. If you are planning to use your binocular on a boast or set it up on a tripod for serious wildlife viewing or any other purpose that requires professional grade gear, getting a full-size binocular will be a good idea. Mostly they measure about 8x 42 to about 10x 50. As a result, they boast of high-quality light transmission even in low light situations. The only downside is that they tend to be a bit heavy. Now that we know that the size is determined by the magnification and the length of the objective lens, it’s a good idea to talk about magnification in a binocular. The number that identifies binoculars starts with the magnification of the binocular. For instance, a binocular with a size of 8×42 means that that binocular is capable of magnifying the image by 8 times and that its objective lens measures 42 mm. Some feature a zoom capacity and for such cases, you will see them being categorized with their zoom number as well. For instance, a binocular that can zoom from 10 to 30 times with a 60mm objective lens length will be categorized as a 10-30x 60 binocular sizes. A binoculars’ field of view refers to the area that is in view with a glance without moving the binocular. It is usually measured in feet and accounts for the view 1000 yards from where you are standing. With a higher magnification, the field of view becomes smaller. Most bird watchers prefer a wide field of view as it enables them to easily locate their target down to every detail. Now that we have talked about the field of view, the next thing you should know is the focus. You want to go with a binocular that comes with a diopter adjustment ring so as to make it easy to establish the right focus for your viewing. The good news is that most binoculars feature a central focus rings so this shouldn’t be much of a concern. Just keep in mind that a diopter is preferable for establishing the right setting for both the right and left eye. The binocular exit pupil is usually measured in mm and represents the how bright and large the object appears when you view through the eyepiece. You can determine the exit pupil by dividing the magnification to the objective lens length. The resulting number should ideally be slightly larger than the size of your pupil to make your view sufficiently bright and vivid. If you are going for a binocular for star and moon gazing, pick an option with a large exit pupil of about 6mm and above. This will allow you to get image clarity with a sufficient amount of brightness to your images. On the other hand, you can settle for a smaller exit pupil of about 5mm and below if you plan to use your binocular during the daytime. This represents the distance between the eye and the eyepiece of the binocular. Just like the eye pupil, it is measured in mm and represents the comfort level of each binocular. With a longer eye relief, you can even use the binocular without having to remove your glass which is convenient. Some manufacturers produce binoculars with eye cups on the eyepiece to add t to the comfort and also to place our face at the right distance for perfect viewing. The eyecups are mostly adjustable thus allowing people with different facial structures to use the same binocular. Inside all binocular, there exists a prism system that enables easy magnification of the image without increasing the actual length of the binocular and re-alignment of the image to the right side up. However, there are two distinct prism systems available. They include: porro and roof. You will find this system with binoculars that have the eyepiece offset from the objective lens at an angle. The reason is that the prism system is arranged at an angle from the lens. Mostly the Porro prism system contains a superior optics performance but as a result, you end up with bulkier chunky looking binoculars. 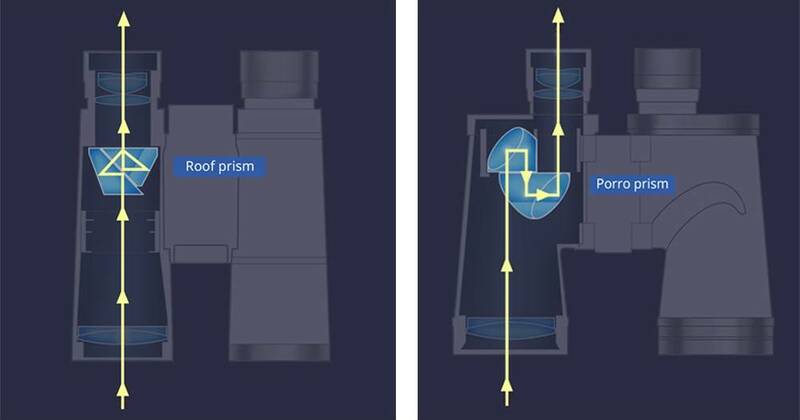 On the other hand, the roof prism system is what you will find in slip and compact binoculars for the simple reason that the prisms inside are arranged in a fairly streamlines position. This prism system makes a good choice for hunting, hiking, and outdoor adventure binoculars however you might need to compromise in terms of optics performance. The prism coating works hand in hand to complement the lens coating. We will get to lens coating in a minute. What you need to know about prism coating is that it reduces light reflection and therefore increases light transmission while improving image brightness and contrast. The best prism coating there is a dielectric coating. It is a premium feature that guarantees almost 100 percent light transmission. Lens coating refers to the amount of non-reflective layers on the lens glasses. Just like the prism coating the more layers you have the less light will bounce about via reflection and therefore more light will pass through to the viewing eye. There are some options that come with a multi-layer coating but you will want to go with a fully multi-coated design for the best optics performance. From features such as fog and waterproof, slip-resistant housing and a rugged overall body quality, you will need to pick a binocular that will be able to withstand the elements since you will be out in the great outdoors. Also, consider the material that makes up the housing to determine the durability of the binocular in case it falls to the ground. With the top 5 options and a detailed buyer’s guide of the features to look for, there is no doubt that you are now set to go and make your very own pick. Be sure to also check and see whether the binocular comes with a case and set of accessories like a neck strap and a tripod mount. These can help you make your adventure much easier with lots of conveniences.